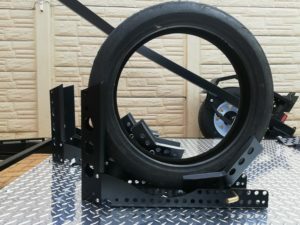 The “Front Wheel Grab/Chock” as it is known or “Trailer Wheel Chock” are designed to hold your bike in an upright position. 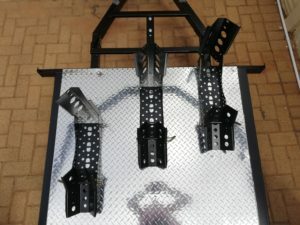 This can be used in the garage when space is a premium or for the race bike that do not have a side stand. 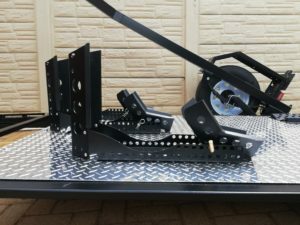 It can be fitted to trailers, bakkies and in Vans. For people with no trailers and you have to use your bakkie this is ideal, you ride your bike up onto the rear and into the “Front Wheel Grab” let go of the bike and use normal tie downs or Compact Trailer’s Tyre tie downs. 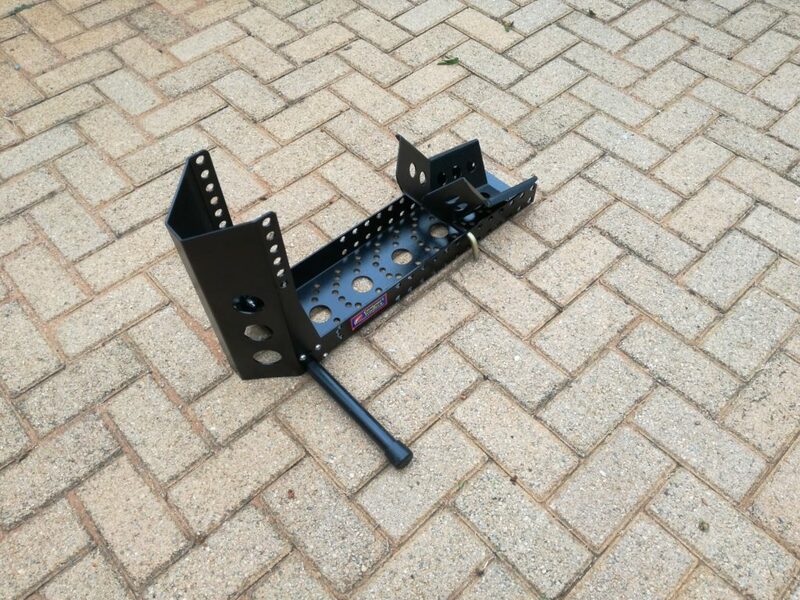 The cross bar is also removable to fit into channels, and fully adjustable to fit all size tyres. 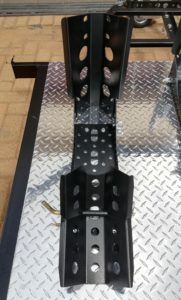 All materials are laser cut, bent and powder coated. Error: Error validating access token: Session has expired on Friday, 12-Oct-18 05:47:44 PDT. The current time is Friday, 19-Apr-19 09:57:59 PDT.